This MNT Knowledge Center feature is part of a collection of articles on the health benefits of popular foods. 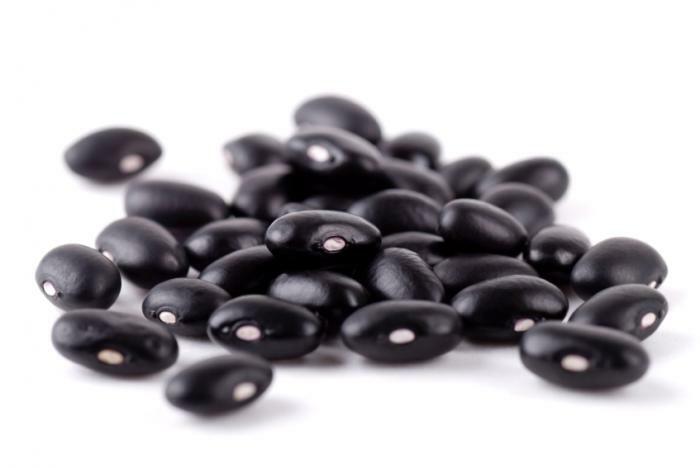 It provides a nutritional breakdown of the black bean and an in-depth look at its possible health benefits, how to incorporate black beans into your diet and any potential health risks of consuming black beans. Black beans are prized for their high protein and fiber content. One-half cup (92g) of raw black beans contains approximately 312 calories6. This measure will also contain 19.5 grams of protein, 0.8 grams of fat, 0 grams of cholesterol, 58 grams of carbohydrate and 14 grams of dietary fiber. That same half cup serving provides approximately 44% of daily iron needs, 55% of thiamin, 100% of folate, 37% of magnesium, 40% of phosphorus, 39% of potassium and 13% of zinc needs7. Black beans also offer a variety of phytonutrients like saponins, anthocyanins, kaempferol, and quercetin, all of which possess antioxidant properties. Calcium and phosphorus are important in bone structure, while iron and zinc play crucial roles in maintaining the strength and elasticity of bones and joints. 99% of the body’s calcium supply and 80% of its phosphorus stores are contained in bone, which makes it extremely important to get sufficient amounts of these nutrients from the diet. Studies have shown that type 1 diabetics who consume high-fiber diets have lower blood glucose levels and type 2 diabetics may have improved blood sugar, lipids and insulin levels. One cup (172g) of cooked black beans contributes 15 grams of fiber8. The quercetin and saponins found in black beans also aid in cardioprotection. Quercetin is a natural anti inflammatory that appears to reduce the risk of atherosclerosis and protect against the damage caused by low-density lipoprotein (LDL) cholesterol.3 Research also indicates that saponins help lower blood lipid and blood cholesterol levels, which prevents damage to the heart and blood vessels. Because of their fiber content, black beans help to prevent constipation and promote regularity for a healthy digestive tract. Consuming fruits and vegetables of all kinds has long been associated with a reduced risk of many lifestyle-related health conditions. Many studies have suggested that increasing consumption of plant foods like black beans decreases the risk of obesity, diabetes, heart disease and overall mortality while promoting a healthy complexion and hair, increased energy and overall lower weight. Black beans are available year-round and are often found in grocery stores either dried and packaged or canned. They have a dense, almost meaty texture that makes them a popular source of protein in vegetarian dishes. If you are using canned black beans, be sure to select those with no added sodium and to drain and rinse all canned beans to decrease sodium content. 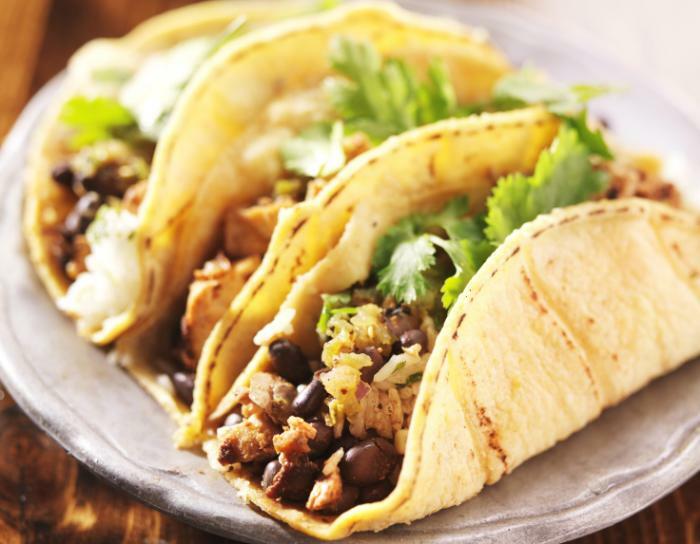 Mix black beans with vegetables, cheese and salsa to create a delicious taco salad. Mix black beans, onions, lettuce, tomatoes, avocado, sharp cheddar cheese and salsa together for a simple taco salad. Legumes contain oligosaccharides known as galactans – complex sugars that the body cannot digest because it lacks the enzyme alpha-galactosidase, which is needed to break them down. Because of this, the consumption of legumes such as black beans has been known to cause some people intestinal gas and discomfort. If you experience these symptoms associated with legume intake, you may consider slowly introducing them into your diet or taking any dietary supplements containing alpha-galactosidase. Another option is to drain the water used to soak dried legumes. This removes two oligosaccharides, raffinose, and stachyose, and eliminates some of the digestive issues.